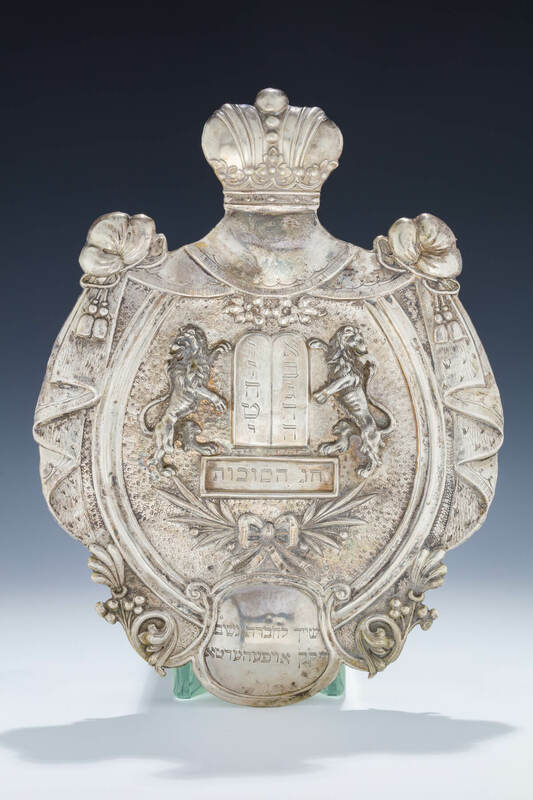 A SILVER TORAH SHIELD. Vienna, c.1880. Decorated with two lions flanking a Decalogue, a bow, a crown and a central cartouche indicating that it was donated by the Women’s Society of Ofarta. 13” tall.